If we want to set up a huge system of fences around our house, it would be quite overwhelming to do it on our own. It would be a good thing to hire the proper and reputable fence installer. In this case, we should make sure that we are working with experienced fence installer and we would need proper references to do that. In this case, we should be aware that some contractors pose as professionals and they actually don’t have the proper capability to install fences. A good thing to do is to contact the Better Business Bureau in our location to make sure that we will be able to find a reliable fence installer. We should make sure that we have the proper working relationship with the fences installer. Reputable companies would constantly train their workers, preferably in-house, so they would be able to build up expertise based on the own experiences and proprietary methods. If the installer company is reliable enough, it would be confident to provide us with a timetable. It means that we would have a better control over our time and we would know when the fences will be completed. There should be milestones described in the schedule, so after a few days, we would know what progress that will be completed. It is also important to make sure that the contractor should always back up their works by written guarantees. In the construction business, this is the norm, so we should make sure that we would get that. We should also know how long has the fence contractor been in operation. The installer should have the right kind of experience needed in our specific products. 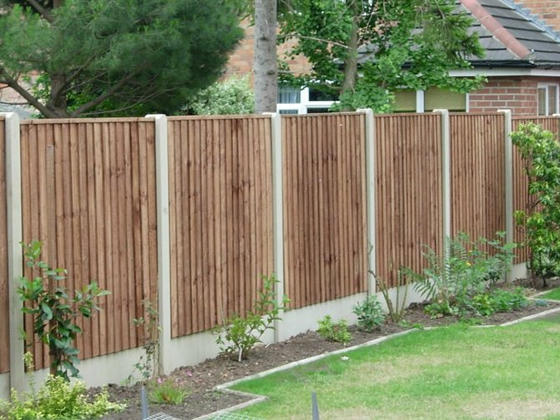 We should make sure that the fences installation company won’t become the jack of all trades. The contractor should have all the necessary knowledge and experience to tackle the process related to the fences installation. In this case, the fence installer should be insured, bonded and licensed. We should know what’s a license and it is important to know whether the installer has them. In general, reputable installers are not only well known, they should also be licensed locally. License also works as a work permit and with a license, the installer is allowed to work in any fence construction project in the city or local area. The installer should also be aware of the details related to fences construction. They should inform us whether we would need to pay the cities fees. The local authority should screen the candidate, so any kind of violation should be considered properly. The fence installation contractor should have the proper work ethics. It means that the installer should know about specific time frame related to the delivery of needed materials. If materials have been gathered properly, we would know the time when the fences construction project would be completed. It is important to be leery of any contractor who asks for fund upfront and this may not be a good sign of professionalism.